Tai Chi Ball training used to be common practice in both external and internal martial arts. Unfortunately, due to its secrecy, fewer and fewer people have learned it. 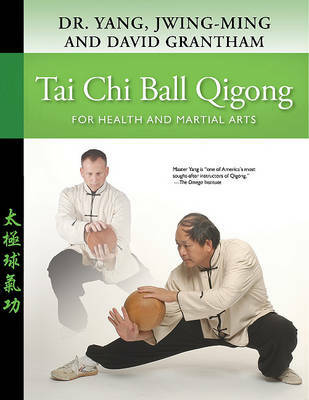 Today the art of Tai Chi Ball Qigong is almost forgotten. Fortunately, this book (and the companion DVDs) allows interested students to practice this effective training and incorporate it into their general exercise routine, or martial arts regimen. For martial artists, Tai Chi Ball Qigong training can strengthen the torso, condition the muscles, and increase physical power by using the mind to lead the qi. It can be a major training tool to enhance pushing hands ability. For general exercise, Tai Chi Ball Qigong training helps those who might overly focus on ‘core body exercises’ to strengthen their hips, knees, and ankles. You will learn to move the vertebrae of the spine, increase energy through various breathing techniques, and learn to move many joints properly at different angles.